Our NEO calculator is a particularly useful tool in these early days of the cryptocurrency. The backing by the Chinese and Japanese governments, as well as the interest of Alibaba, make this a potentially lucrative investment. The price of a single NEO is still relatively low and accessible to most investors. Therefore, using the NEO calculator to assess price and trends is a good place to start your buying journey. The NEO calculator will help you to work out the price of a single token in your chosen fiat currency, whether this is dollars, Euros, pounds or many others. It will also help you to work out how many tokens you can buy with the amount you wish to invest. value in USD = exchange rate x amount of NEO. However, it is the ability of our NEO calculator to draw in the latest data that makes it so useful. 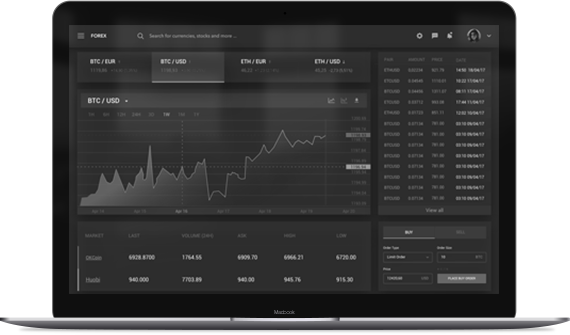 Exchange rates and prices are tracked and used to give real-time updates on your information requests. The buying and selling of NEO is made more complex as there are hardly any sites that will exchange NEO for fiat currency. Therefore, you will likely need to purchase Bitcoin, Litecoin or Ethereum and convert this to NEO. The NEO calculator gives you the price of a purchase of NEO but may not include the transaction fees included in buying other currencies and converting these. A NEO converter is likely to be an exchange site. It is quickly becoming one of the mostly hotly traded altcoins on the market – therefore you are not going to find it difficult to find your NEO converter. The buying of NEO is similar to buying stocks, securities and commodities. However, you will only make a profit on NEO if the price rises after purchase and before selling. Therefore, any potential earnings rely on the constant appreciation of the currency – thanks to the influence of supply and demand and the trust built from connections to external institutions. Using a NEO converter is either the use of an API that allows you to click and buy or it is the use of an exchange site. All APIs are connected to exchange sites – therefore – it is important to understand how cryptocurrency exchange sites work to understand a NEO converter. Exchange sites tend to act as mediators between the buyer and the seller. Some of these sites encourage direct contact between the merchant and the customer. Other sites act as a broker for the sale. Whichever cryptocurrency exchange you use, you will need a digital wallet to store your currency once it is purchased. When using a NEO converter, you need to be aware of potential issues you could face. The first issue is that the majority of sites will insist you convert Bitcoin, Litecoin or Ethereum for your NEO. It is unlikely that you will be able to make a direct purchase using your credit or debit card or your bank account. This is not as complicated as it sounds – but it does add another layer of transaction – and the impact of this can be tracked with the NEO calculator. There is also a need for the user to research the NEO converter for reliability and trust. There have been exchanges forced to shut down because of hacks and security breaches. Since these times, exchange sites have become increasingly security conscious. It is likely that the majority of funds will be kept in cold storage. Cold storage essentially means offline and out of the reach of potential hackers. Obviously, the more that is offline the safer your coins – but also the less liquidity available to the site to make large exchanges. Therefore, you need to know the cold storage and the liquidity of a site before using their services. There is also an issue of regulation. The key feature of cryptocurrencies may seem to be a lack of regulation – however, in reality, these sites are financial organisations and you want them to inspire trust. A lot of sites in the US are regulated by state-level financial bodies. This means that they allow their conduct to be scrutinised – which should establish a fair level of trust with the user. Remember there is also the option of using a NEO converter API to exchange your money to NEO and NEO to money. Knowing when to convert to NEO or when to exchange your NEO back to fiat currency, via Bitcoin – is one of the most important questions for any investor. The price of cryptocurrencies in general tend to go up and down based on the news about Bitcoin, for instance. Therefore, it is more important than ever to keep up-to-date using a NEO calculator. You are going to be speculating on the success of the altcoin to become established and reach a critical mass of users. How likely is this? Well, with the interest of China and Japan and the support of Alibaba – it is highly likely that NEO will become an established regular on the cryptocurrency exchanges. However, the interest of governments makes this more of a centralised currency that most digital coins – and this may make some investors wary. The general trend suggests that NEO is a positive investment for those wanting to get in early to a cryptocurrency. It is worth visiting the NEO calculator for a time and seeing the trend in price movement before making any forward decision about investments. Once you do make your choice, it couldn’t be easier to buy, using a NEO converter.